North Buffalo and the neighborhoods around the Hertel strip are abuzz with excitement over what promises to be a revolution in grocery shopping in the very near future. The Lexington Co-Op is slated to open a new branch in what was most recently a CVS drug store on Hertel Avenue. Renovation and construction have been ongoing at the 10,000-square-foot store, which will boast a sidewalk café and meat and seafood counters. 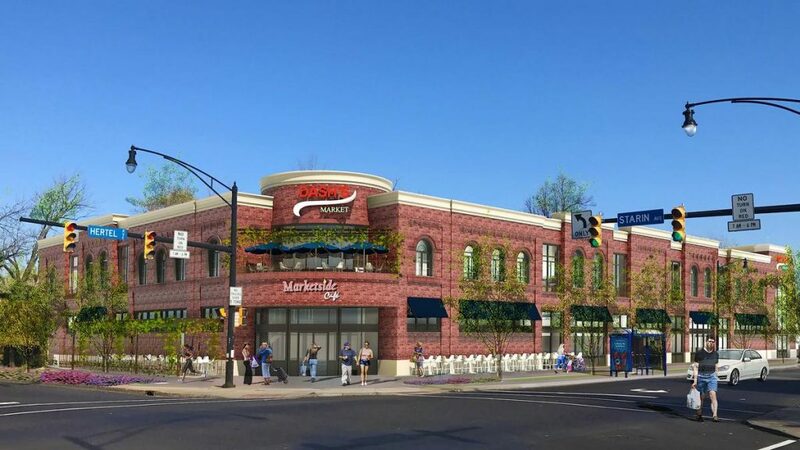 Meanwhile, Dash’s Markets caused an uproar in 2013 when plans to close the current Hertel Avenue store and merge it with a larger facility on Kenmore Avenue were made public. 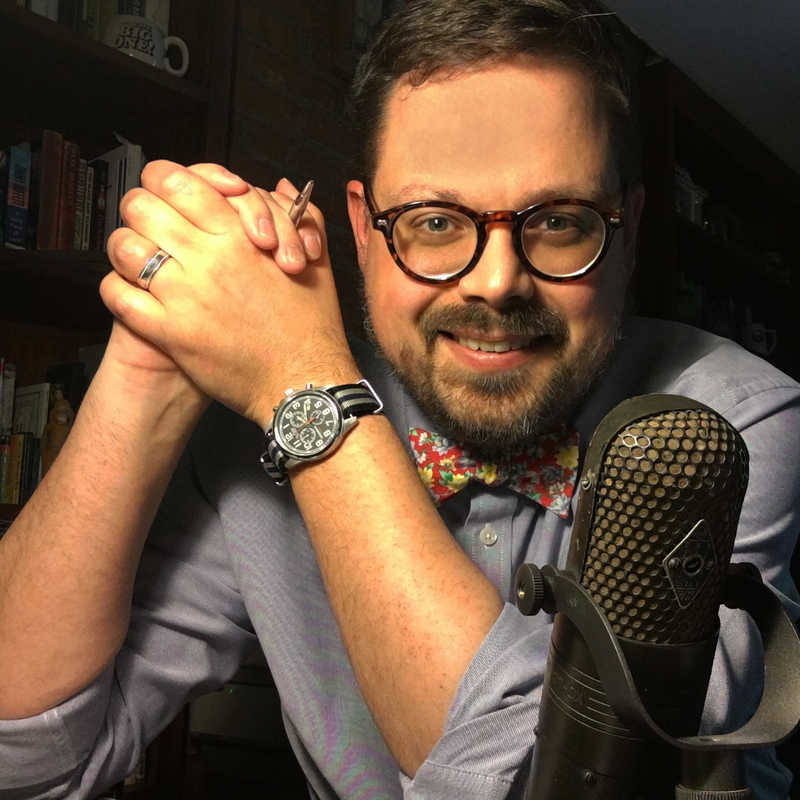 Speculation has been rampant about plans for an enlarged Dash’s store in the footprint of buildings owned by the Dash family, taking up nearly the entire block from Starin to Voorhees avenues. If the speculation comes true and consumers soon have two gleaming modern supermarkets within a block of each other — it won’t be the first time that’s happened. It won’t even be the first time for the two buildings involved. 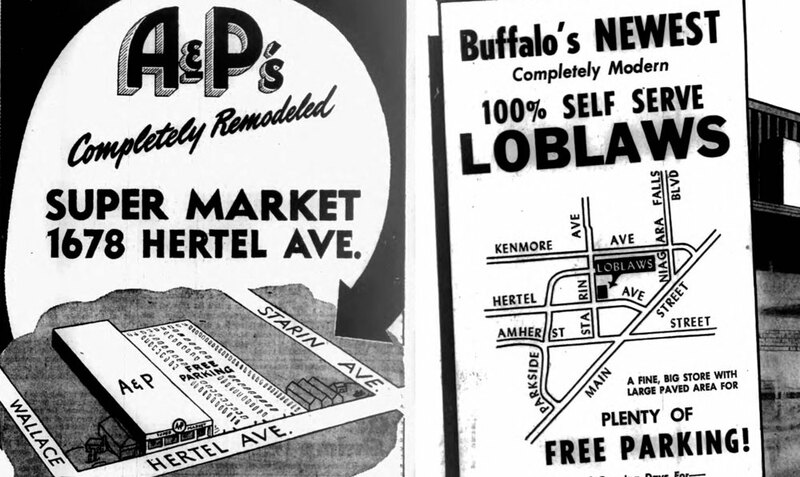 In the 1950s, the same North Buffalo neighborhood watched two grocery behemoths battle for their shopping patronage from the same exact locations. 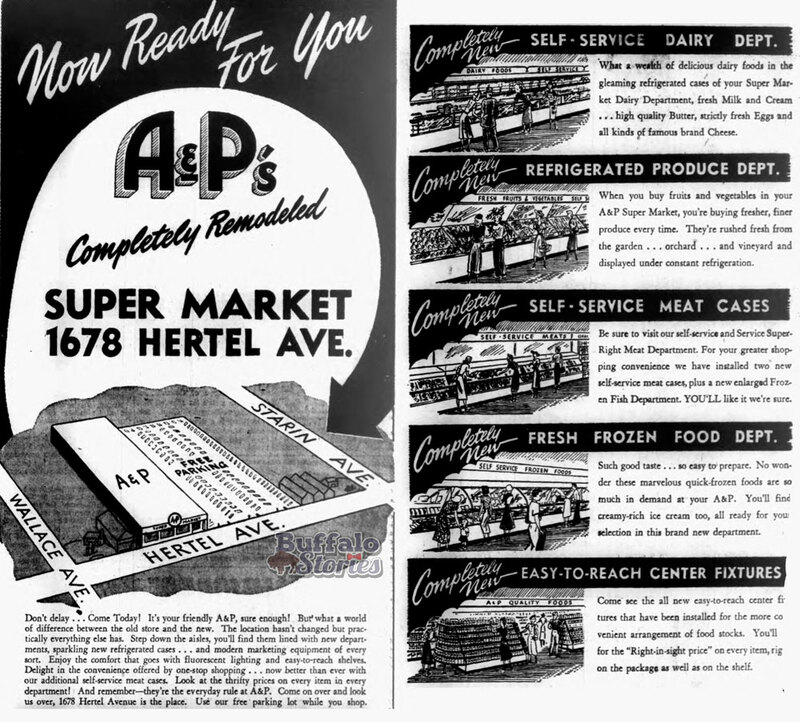 While the building at 1678 Hertel Ave. has been known for the last several decades as a CVS drugstore, for several decades starting in the 1940s, the location was home to an A&P Supermarket. The A&P lasted in the spot through the late 1970s. 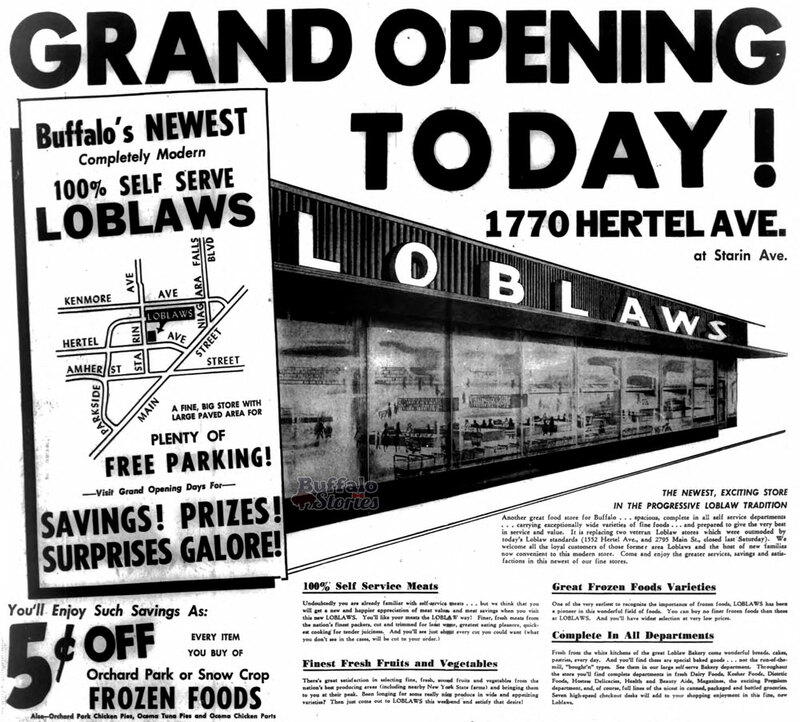 Perhaps feeling the heat from the sparkling new A&P, in 1955, Loblaws closed its dated location at Hertel and Parkside (now the site of Walgreens) and opened a new store just up from Hertel and Starin. In 1971, the store – which had also been known as Star Discount Market for a brief time – was sold to become a B-Kwik Market. It was operated as B-Kwik by the Dash family for decades, until a corporate sale mothballed the name B-Kwik and the store became Dash’s in 2003.